This documentary shares the experiences of three Filipinos liv- ing in Ontario who have acquired “VIP” status as balikbayans — those who have moved abroad with aspirations, and return to the Philippines to share their fortunes and experiences. Alex Humilde graduated from Sheridan College in Television and Film. He is currently developing his next documentary and continues to address contemporary, Philippine-related issues. Sarmad Masud studied film at the Hull School of Art & Design in the UK. He previously made films in Kashmir and Cambodia, winning awards at the Angel and Leeds International Film Festival, and was nominated twice for the Satya- jit Ray Short Film Award. This Canadian filmmaker focuses on her own name and those of her grandmothers, exploring their symbolism and significance in relation to place and identity, and her own mixed-race family. Rekha Ramachandran is an artist based in Toronto. She holds an MA in Com- munication and Culture from York and Ryerson Universities, and a BFA from Ryerson University. In 1975, a young, pregnant Vietnamese refugee, Giap, escapes Saigon in a boat and, within weeks, finds herself working on an assembly line in Seymour, Indiana. 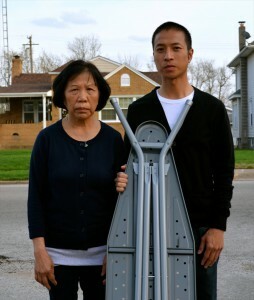 Thirty-five years later, her son, a filmmaker, documents her final day of work at the last ironing board factory in America. Tony Nguyen is a Vietnamese-American filmmaker based in California. He made his directorial debut with Enforcing The Silence, a 2011 feature documentary about the first Vietnamese-American to be reportedly assassinated in the United States. 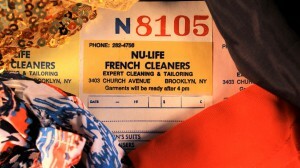 Through stunning experimental animation, NU-LIFE takes a viv- idly intimate look at the family dry cleaner. Lynn Kim is a Korean-American anima- tor and filmmaker from Queens, New York. She is a dedicated fan of breakfast foods, good literature, and peculiar collisions between art and history. 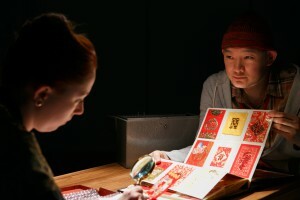 Les Lee is a die-hard collector who never misses the annual red envelope convention. But this year, he needs to sell his entire collection. Go For Broke is an Altman-esque look at red enve- lopes, the world and characters that circulate them, and material culture in Chinese diaspora. 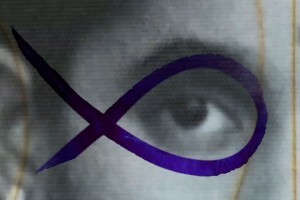 Filmmaker Aram Collier works across multiple genres including fiction, vérité documentary, and multi-media. Collier studied film production at the University of California at Santa Cruz (BFA) and York University (MFA).